Wrong gutter size: Gutter size refers to the width across the top of the gutter. The gutter size correlates to the amount of rain water that can be drained during a rain fall. Two factors that determine sufficient size are: the average amount of rain expected in your region and the size and pitch of your roof. In the case of higher-than-average rainfall or larger-than-normal roof size, larger gutters will be needed. Failure to use the right-size gutter will result in inadequate drainage, gutter damage, and ultimately, property damage. Too shallow of a pitch: To ensure that water drains properly, gutters are installed with a slight pitch to direct the water towards downspouts. A pitch that is too steep can cause water to move too fast and flow over the edge of the gutters. A pitch that is not steep enough can prevent the flow of water and cause water to pool up and damage gutters. Installing gutters with the proper pitch is critical to effective drainage. Improperly spaced hangers: Gutters are attached to homes through the use of “hangers.” The spacing of the hangers is critical to the effectiveness of the gutter. If gutter hangers are not spaced properly – too far apart – the gutters may not hold up during larger rainfalls, as unsupported portions of your gutters sag and water gathers in heavy pools. Wrong choice of material: When choosing the material of gutters – vinyl, aluminum, steel, zinc or copper – you will be faced with a predictable set of “cost vs. benefit” decisions. Go with the more expensive gutter material – steel, copper gutters and zinc gutters – and get top quality and aesthetic value. Go with the lowest cost material – vinyl, aluminum – and accept the durability and aesthetic disadvantages that generally come with choosing the less expensive options. From a purely effectiveness standpoint, don’t take this choice lightly. We all want to save money, but you must take drainage and durability needs into consideration. The more demanding the conditions, the wiser you would be to consider spending the extra money on more durable gutters. Learn more about the cost of new gutters. One thing is for sure, once you invest the money in a new gutter systems, regardless of what you pay, you will eager to put that expense in your rear view mirror, and not face it again for a long, long time. The Gutter Helmet® gutter protection system eliminates gutter damage in a number of ways, by preventing gutter clogs, reinforcing gutters against heavy snow and ice and reducing gutter warping and sagging. 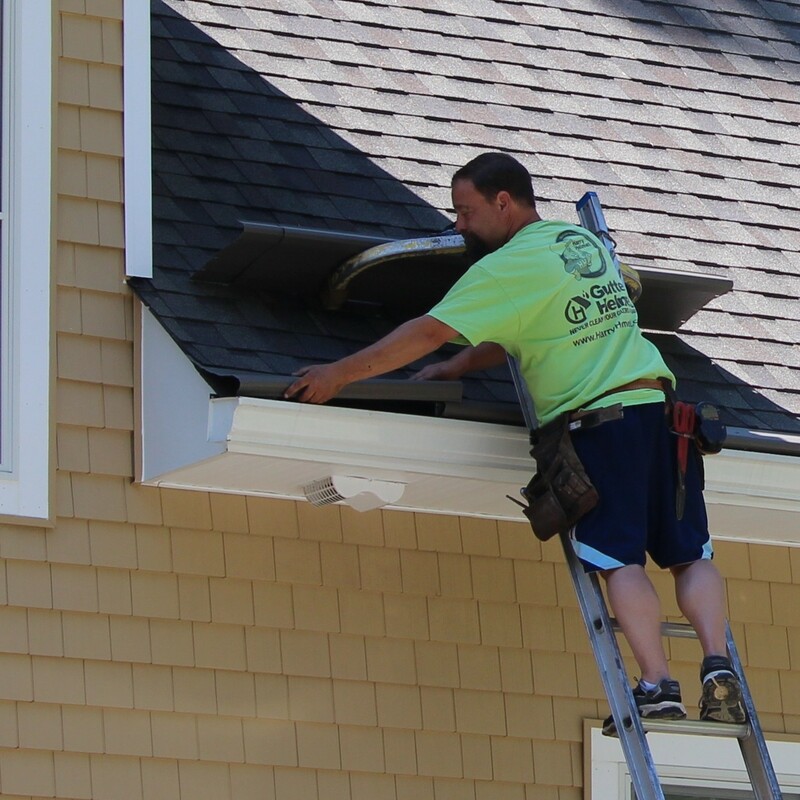 Looking for a professional gutter installer in the Northeast? Contact one of our gutter and gutter protection installers serving Maryland, Virginia, Washington DC, Delaware, Philadelphia PA, Pittsburgh PA, Columbus OH, Cleveland OH, Southern New Jersey, Northern New Jersey, Seattle WA and West Virginia.